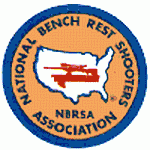 America’s top short-range benchrest shooters competed September 17-22 at the 2007 NBRSA 100/200 Nationals, held at the Kelbly’s Range in Ohio. Some familiar names came out on top. Mike Ratigan, on the heels of his dominant performance at the World Benchrest Championships, won the 4-Gun Aggregate, with Allan Tucker and Larry Costa tieing for 2nd place. Living legend Tony Boyer won the 3-Gun title. (Tony already ranks first in Hall of Fame points by a large margin). Tony’s wife Faye, the “nicest lady in Benchrest” according to Shelly Davidson, won the HV 200 Agg plus the HV Grand Aggregate. Jim Carmichael captured top 2-Gun honors, while Larry Costa won the Grand Agg in Unlimited Class. Charles Huckeba won LV Grand Agg. Don Nielson, who attended the event, said the match was tightly fought and all the winners can be very proud of their performances in such tough competition. Share the post "2007 NBRSA 100/200 Nationals Results"
Here’s a nice promotion for varmint hunters and .223 Rem shooters. If you purchase a 500-ct box of Midsouth Shooters’ new “Varmint Nightmare X-Treme” bullets, Midsouth will give you a handsome, khaki cap for free. 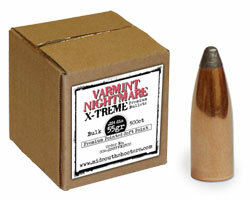 Midsouth’s new Varmint Nightmare X-Treme bullets are crafted by a “secret” premium bullet manufacturer and then packaged by Midsouth to keep prices low. These .224-diameter (22-caliber) flat-base, soft-point bullets cost $34.74 per 500-count box. (That works out to $6.95 per hundred). These are available in either 50 or 55 grain weights. The 50-grainers have a 0.193 BC, while the 55-grainers have a 0.220 BC. These are bulk bullets, so 500 is the minimum quantity. Share the post "Free Hat with Midsouth Varmint Bullets"